It’s by now old news (as is anything in Formula 1 that’s more than a week old), but I can’t post an F1 news update without passing comment on Red Bull’s ongoing engine woes. A messy split from current suppliers Renault is now, seemingly, a certainty. 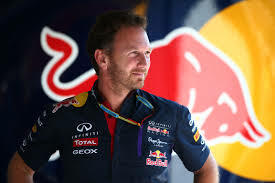 The partnership that gave Red Bull four consecutive driver and constructor championships has not been able to endure a year and a half of steadily worsening results, and Red Bull are hoping to end their contract with Renault a year early. Red Bull have been increasingly vocal in their criticism of Renault, who have not taken kindly to such public tongue lashings, and if the inevitable does happen, it would seem Red Bull have backed themselves into a corner. It seems likely that Renault will also withdraw engines from Red Bull’s sister team, Toro Rosso (in fact, Renault are trying to buy Lotus, so they might end up focusing on just one team next year). It won’t come as a surprise that Mercedes have said no to supplying Red Bull. Red Bull have produced competitive designs for several years, designs that in fact were enough to overcome engine deficiencies prior to the V6 turbos. Mercedes aren’t prepared to give a rival a potentially huge boost, so Red Bull have two options – sound out a new engine supplier (and looking at what’s been happening at McLaren with Honda, that might not be a good idea right now), or seeing if Ferrari would be willing to cut a deal. There’s history between Red Bull and Ferrari. At one time, Ferrari provided Red Bull with engines (back in 2006) and supplied Toro Rosso for a few years as well. The Italian outfit have already said they would be prepared to supply engines to Red Bull, but nothing is done and dusted yet. If such a deal goes ahead, will it provide Red Bull with the leap forward they need? Will their usually excellent chassis be enough, combined with a Ferrari engine, to offset the advantage Mercedes currently have? We shall have to wait and see.